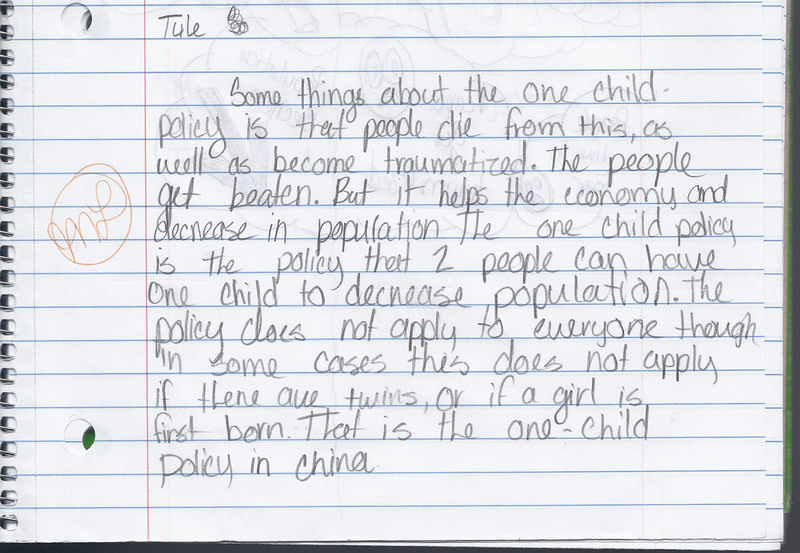 We learned about world population patterns and then did a case study on Chin’s One-Child Policy as a means of population control on two consecutive school days. 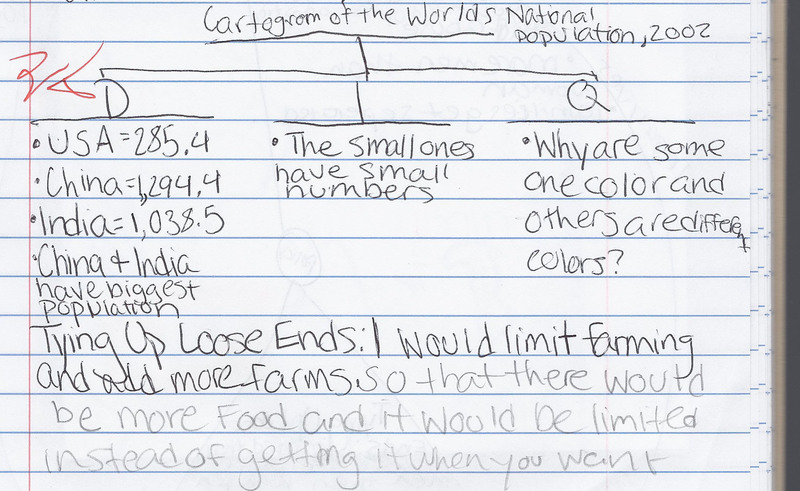 Our study of world population patterns started by utilizing cartograms and UN population data to discover what countries of the world had the highest populations and also the difficulties, for governments and people, that come with substantial population growth. 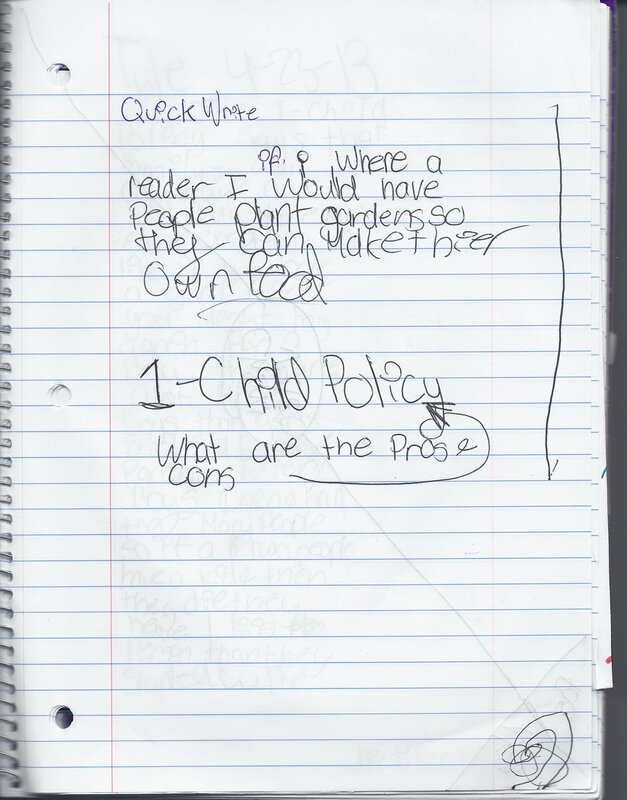 Namely we discussed the issue by means of pulling details, inferences, and questions from the resources. 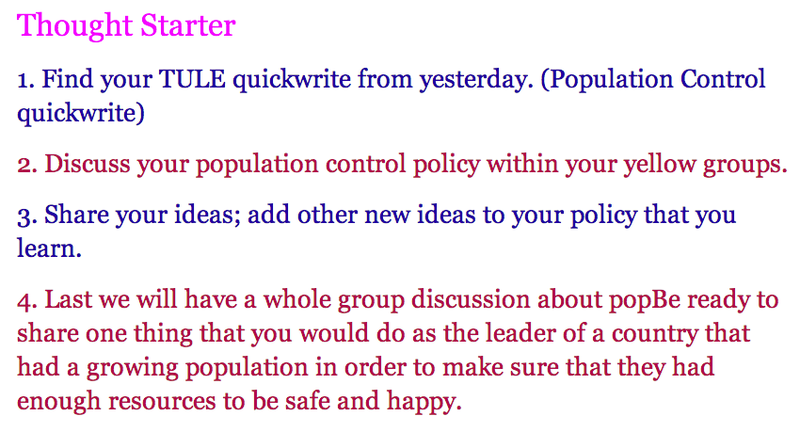 The purpose of this writing prompt was to dually engage students’ prior knowledge of what resources people need to live safe and happy lives, while also putting them in the position of policy makers in government who need to attend to population growth crisis. 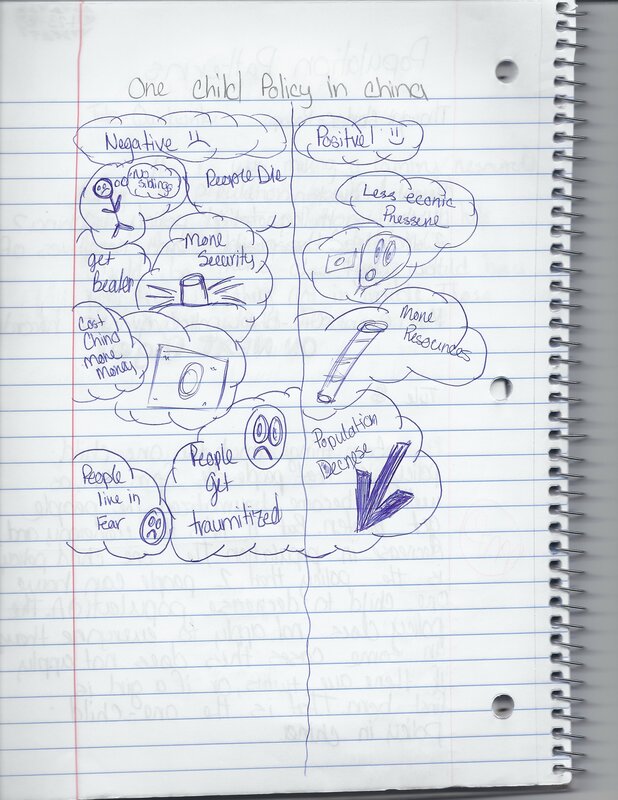 This becomes a prelude to learning about China’s one child policy, allowing students to empathize with government’s difficult position in a growing China. 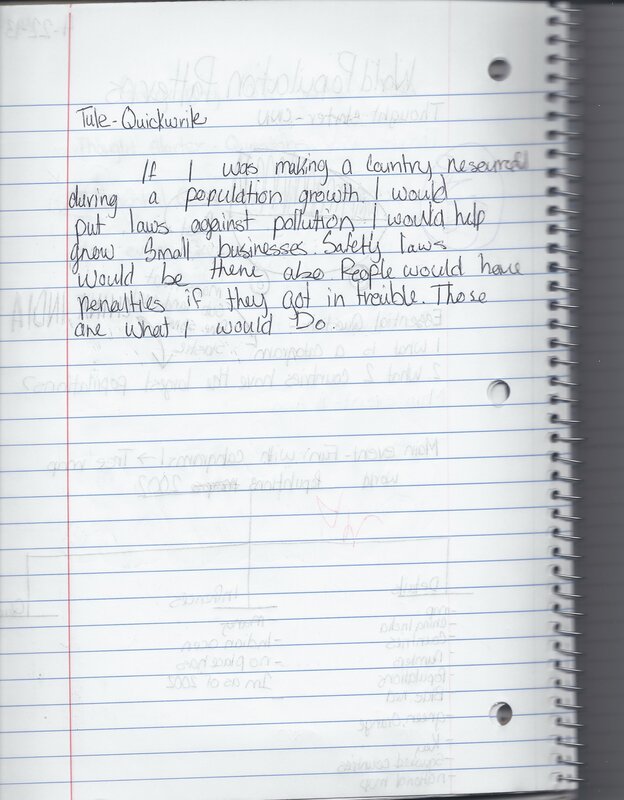 The next day, our thought starter was to share our ideas from our quickwrite the day before. Revisiting and refreshing our minds so that we could further build upon our prior knowledge later in the lesson. 1. What is the one-child policy in China? 2. What are the positives and negatives of the policy? 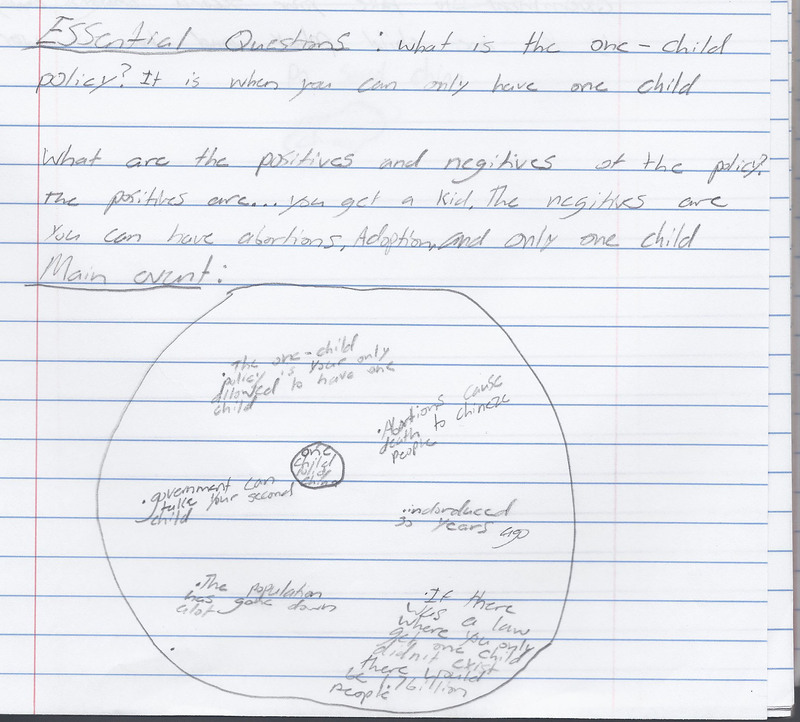 For day two’s formative assessment, students used their graphic recordings/circle maps to turn their thoughts into a summary of what they learned. 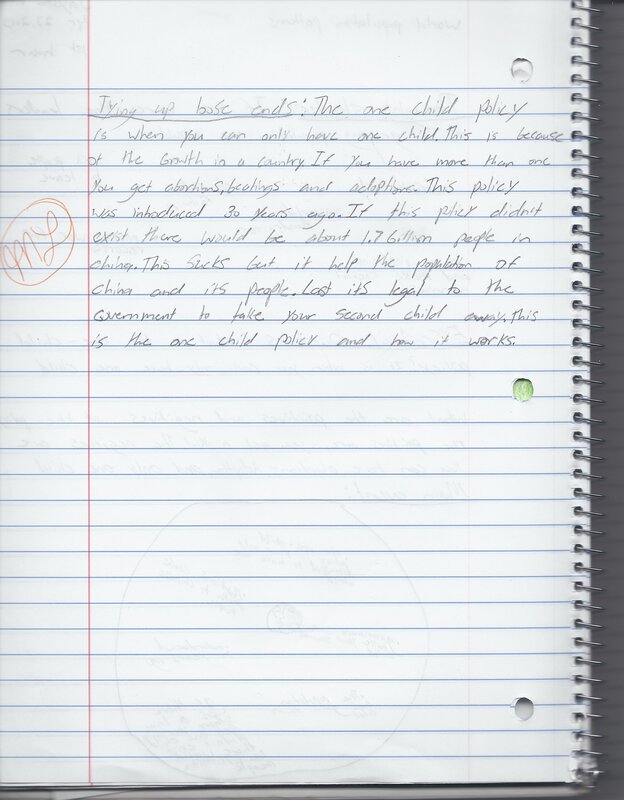 Refining their thoughts into paragraph form.